Random.Not Food | eat. live. paleo. The last two facts don’t jive particularly well with the first four facts. Even if I eat well — lead a gluten-free lifestyle — without exercise, it is hard to get that good, toned body that looks great in clothes… especially when I like to try new restaurants or recipes, as well as have my wine and drink it, too. Until I married David, going to the gym was not remotely in the picture for me; it just wasn’t something I was accustomed to even thinking of doing. This approach (or lack of approach toward fitness) was fine in my 20’s and I guess I got away with it for the most part. But once I hit 30, I could feel my metabolism slowing down. Add to that the fact that David is always trying to put on weight (muscle) and eats like a large zoo animal, I found it increasingly difficult to not put on weight myself. So I started going to the gym, once, maybe twice a week, under David’s guidance doing mostly weight training, because I hate running and, really, cardio-anything. I was not a good trainee. Although I got stronger and could see some muscle definition taking place, I was still very good at finding excuses not to go to the gym (inside our building) or not to push hard. I wasn’t motivated. And yet, I coveted a more toned body. I wanted to be able to wear crop tops, which was so big this past season and looks like will continue to be in the fashion picture in the upcoming seasons. There were also quite a few outfits in my closet that I couldn’t quite fit into anymore, and I wanted to change this situation. Nothing motivates you quite like vanity, perhaps. And so, I decided to try exercise DVDs at home. “Maybe if I could work out inside the comfort of my own home, I’d do it more” was my thinking. I kept seeing commercials on TV for the Insanity exercise program… and finally, last February, I took the plunge and started it. It was, indeed, insane. It was hard. The self-described “extreme” exercise program calls for working out 6 days a week for 8 weeks, with a “recovery” week in between. Each exercise session takes about an hour. I got through it, but my knee was bothering me by the end because there’s a lot of jumping involved. Although it was a good program to whip me into a resemblance of cardio shape, it wasn’t a sustainable workout regimen. I lost some weight, but not a lot, although I felt a little leaner. The good thing about Insanity was that it started me down the path of working out at home on my own, using DVD’s. David preferred this arrangement, too, because I was such an unwilling trainee. After Insanity I did P90X. P90X is a much longer program. 90 days, 6 days a week, and a lot of the workouts are more than an hour long. I liked the exercises but found the duration very difficult to fit into my life on a 6-days a week basis. I did get through the 90 days, though, and I got stronger (hello, push-ups) and more flexible thanks to the yoga element, but the time it demanded was not a sustainable option for a more long-term exercise lifestyle. If you do a bit of googling for results on Insanity and P90X, you will find a lot of amazing “before and after” photos of people who achieved great body successes on the program. Although I was getting leaner and stronger, my progress was rather slow, not exactly magical. But doing the two programs was a good way for me to learn how hard it is to get a good body. Toto, I’m not in my 20’s anymore, and I need to put in the work to get the results! And then T25 happened. T25 is a new program developed by Shaun T, creator of the first program I did, the Insanity workout. Each workout in T25 is only 25 minutes long. 25 minutes!! It is very hard to not find 25 minutes in your day. The T25 program calls for working out 5 days a week; on Fridays, you do a double session (2 sessions of 25 minute workouts, or 50 minutes). There are two cycles, Alpha and Beta. Each cycle lasts 5 weeks. Alpha is the “foundation” cycle, which basically paves the way for the Beta cycle. No equipment other than a mat is necessary in the Alpha cycle, because you use your own body weight for resistance. 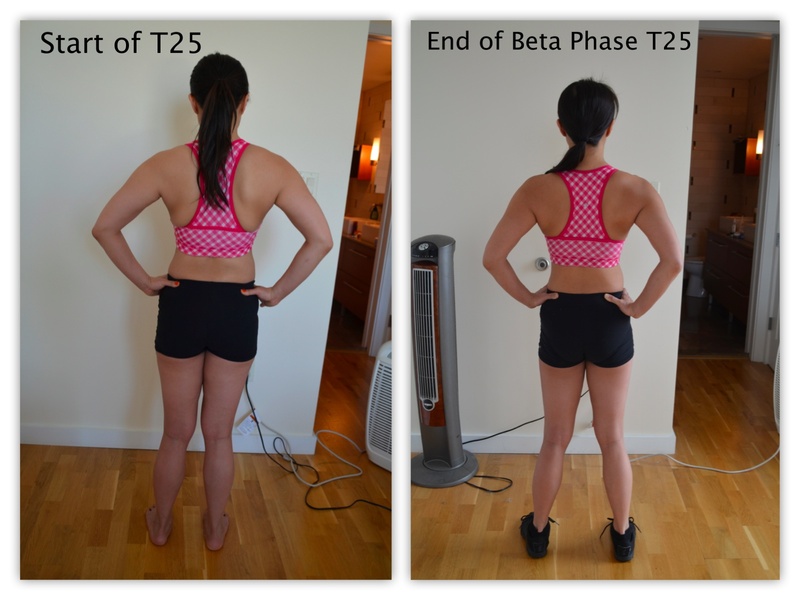 The Beta cycle focuses more on the core and in sculpting muscles. Light dumbbells or resistance bands are added. 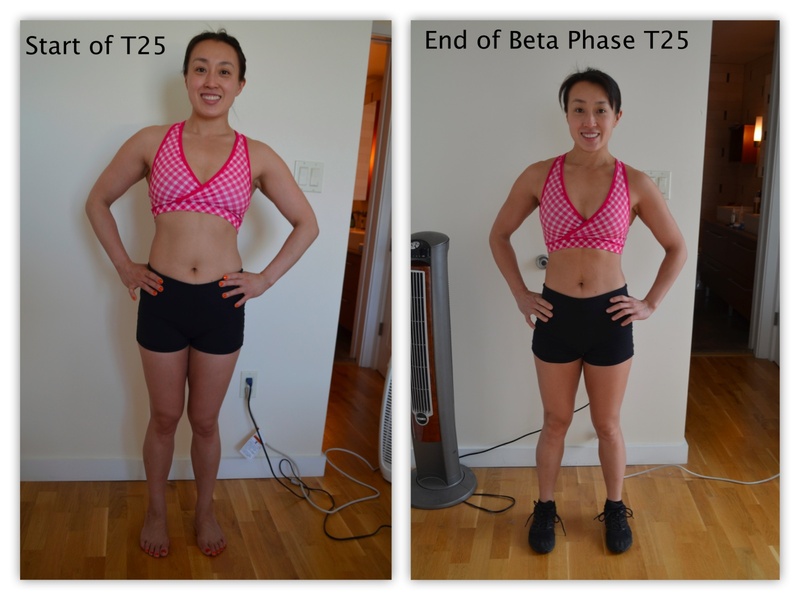 The main thing about T25 is that you don’t stop or have breaks at all in the 25 minutes. You press play, and push hard, for 25 minutes. I just completed Alpha and Beta cycles (10 weeks) and I LOVE the program. I LOVE Shaun T, the trainer. I feel like I have found a program that I can do for a long time to come. That the workouts are 25 minutes long instead of an hour or more makes a HUGE difference for me. Even I — queen of wiggling out of workouts — can’t really come up with an excuse for not being able to fit in 25 minutes. There is a Gamma program that follows Beta, sold separately, which focuses on strength — and so I am onto the Gamma phase next. I can now fit into clothes I haven’t been able to wear for a long time! It’s like shopping in my own closet! 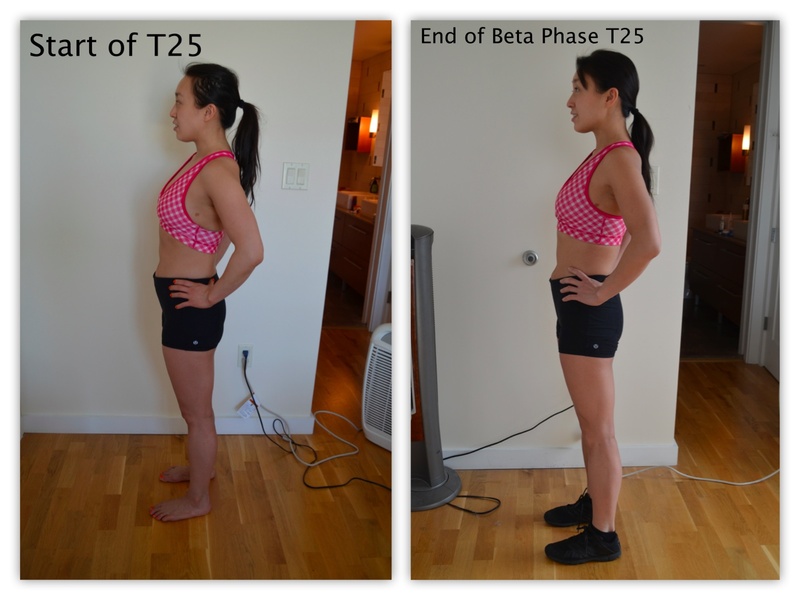 If you are looking for a short but intense workout program, I highly recommend T25. Putting the work in working out is easier, I find, when it’s only 25 minutes. It’s just long enough to feel like you’ve accomplished something, but not too long so that you feel it is tedious or overwhelmed at the prospect of fitting it into your busy life. Interestingly, last year the American Physiological Society found that a half hour exercise works just as well as an hour-long exercise to maintain/shed weight. You can read a little bit about it here. I turn 35 next summer (gulp!). My goal is to rock a crop top come summer time… and even more importantly, I am going to work at being the fittest I’ve ever been when I turn 35. Wish me luck! An old friend of mine just launched a wonderful, progressive and world-friendly business, which I’d like to introduce here. Although the business doesn’t have anything directly to do with recipes or paleo-eating, this new venture embraces the idea of making smart choices that reflect one’s values and goals, just as we try to do with health and diet. The company is called SWICH and it helps people identify, shop and invest in “better” businesses, helping people spend money on business that share their values. Do check out the website and video here. You can also check out the SWICH blog, where new “better businesses” are introduced. Mixing up green drinks or protein shakes, it’s important to have a good, BPA-free shaker bottle. (And now that I drink protein shakes in the morning, I use a shaker bottle on a daily basis.) We used to have the classic version of the Blender Bottle, which worked fine but had little nooks and crannies around the spout that made it difficult to clean thoroughly. The bottle always began to smell weird, no matter how you washed it, and I really hated drinking from it. The new and improved Blender Bottle Sportmixer, however, is great! The spout is designed in such a way that cleaning is easy; you can just rinse it after most drinks, not put it through the dishwasher. It also comes in a variety of colors, and, as with the classic style, it is BPA-free. I still never use the “Blenderball” that comes with the bottle, but I am very happy with my new shaker bottle. (Bottles come in 20-oz and 28-oz sizes.) If you are looking to purchase a shaker bottle, and are considering the Blender Bottle brand, definitely go with the Sportmixer style over the classic! And so we have completed our 5-day detox! 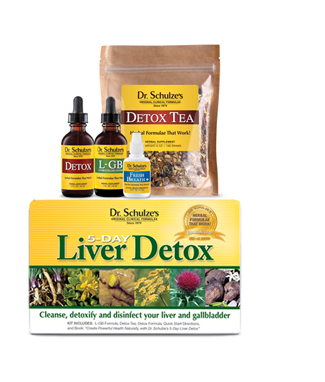 A pleasant surprise for me on this detox: the second and third days of the cleanse, which in the past were very difficult, full of cravings and headaches, weren’t so bad! Although feeling a little wan (conserving energy) and hungry, with minor headaches here and there, the liquid-only days passed less agonizingly than before. The biggest challenge turned out to be dinner time — since eating dinner together is such a big part of our everyday life, it was very strange to have separate regimens for 5 days. Anyway, all finished, detoxed and cleansed! Long time, no blog — it’s been a busy April! We’ve been on vacation that has included our friends’ wedding in which I was a bridesmaid, and, as usual, plenty of delicious eating! I will be back and blogging food the end of this week, however, so please stay tuned! …better yet, here is a video of one of the dance couples, taken on my iPad as David went over the choreography with them (NOT the final product to be used in the show). 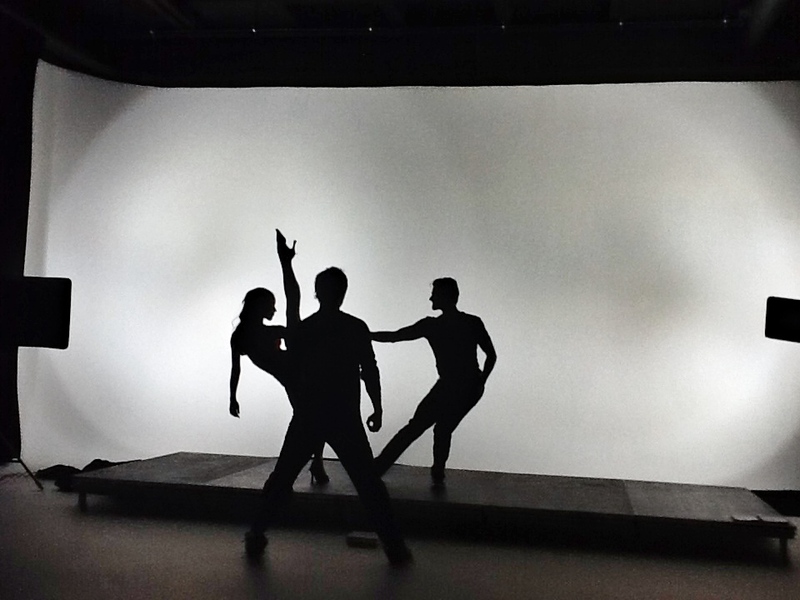 A behind-the-scenes sneak peek…! 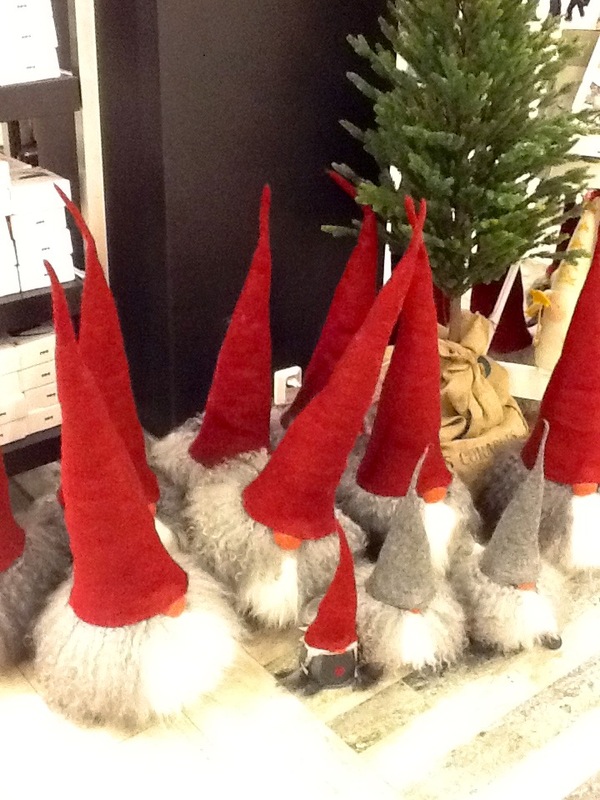 What the Swedes lack in winter sunlight, they make up for with spectacular Christmas lights all around the city and in windows. 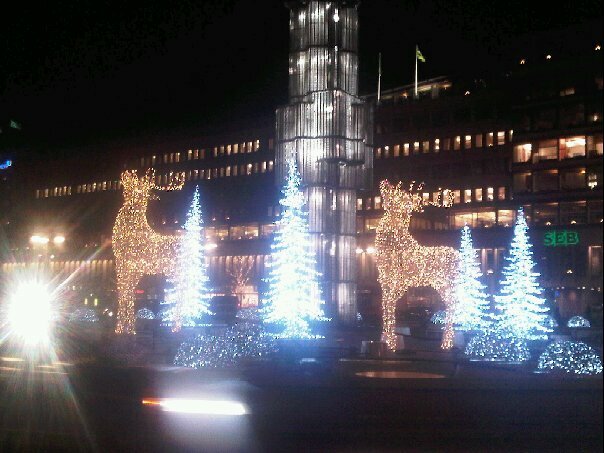 Stockholm is lit up for the holidays!